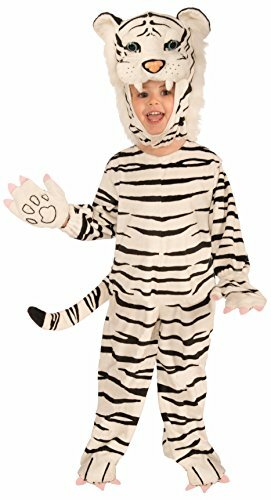 This adorable Tiger costume is perfect for Trick-or-treating, themed family photos, parties, and any other dress up occasion. 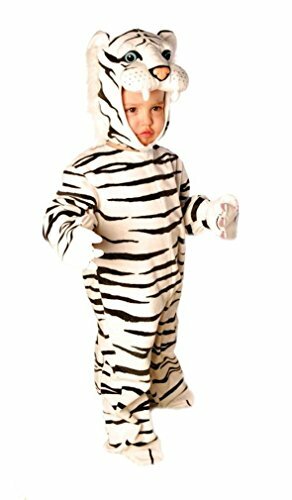 So soft and cute your little Animal lover won't want to take it off also making it perfect for hours of imaginative play. The plush body has velcro closures allowing for easy and effortless diaper changing. 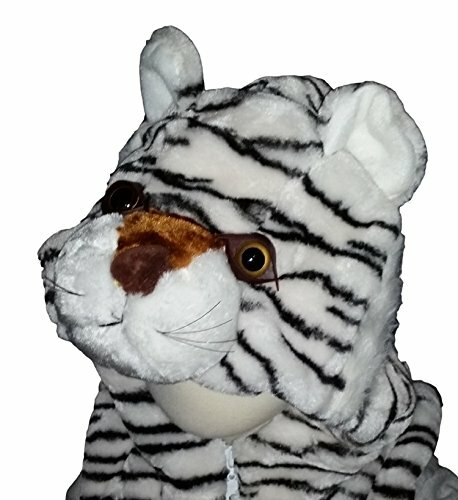 The darling Tiger look is completed with the detailed hood and matching hand mitts. This material is so soft and cuddly it is literally made from a lightweight baby blanket material to keep your toddler happy and comfortable. Designed to be worn over clothes in cold weather conditions if necessary. Available in Toddler Sizing: Small (6-12 Months), Medium (18-24 Months), Large (2-4), and X-Large (4-6). 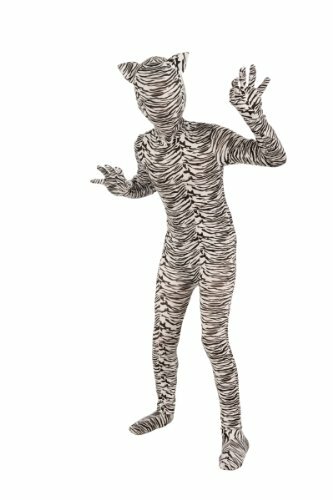 Forum Novelties has been a leader in the costume joke, trick, magic, and novelty business for more than 30 years. With more than 8, 000 fun items, including a variety of costume choices for every age, Forum is the place to look for your halloween, luau, Christmas, Mardi Gras, Easter, birthday, magic performance, talent show, retirement party, baby or bridal shower, St. Patrick's day supplies! From funny to frightening, Forum has it all. 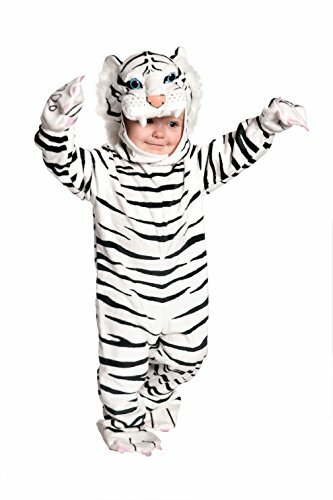 This toddler tiger costume includes a jumpsuit with attached feet, mitts, tail and tiger hood. 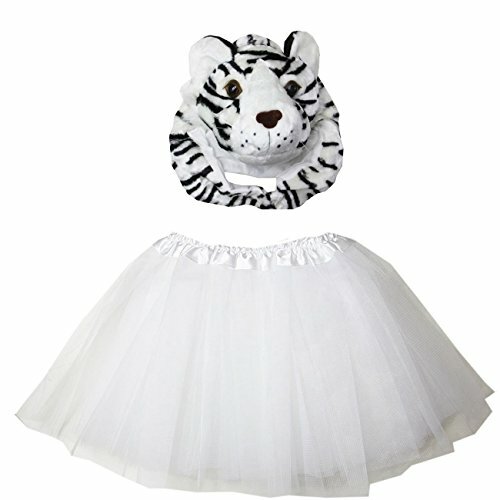 Our toddler tiger costume comes in sizes to fit baby, toddler and small kids. 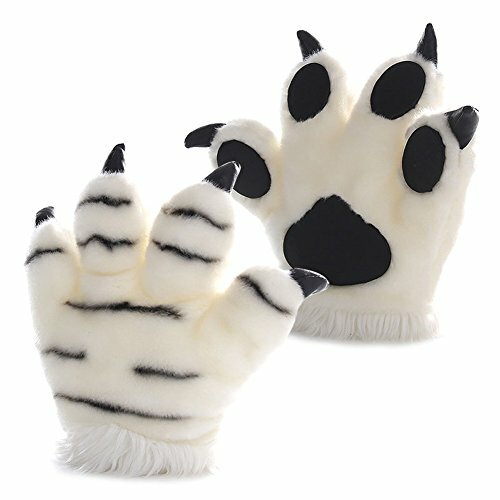 The tiger Halloween costume comes in the orange tiger color and the white tiger color. 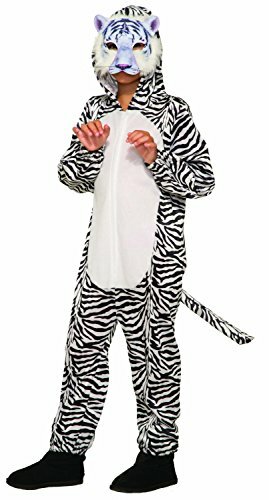 This toddler tiger costume comes in toddler sizes X-Large, Large, Medium, Small.